I discovered this 30 Day challenge on Pinterest a while ago, and since it’s Halloween and the Harry Potter world is definitely a great series for this time of year, I thought it would be fun to do for Spooktober. Originally, I was thinking of doing daily posts to it like I did last month for my 30 Day Reading Challenge, but it’s easier for me to throw it all into one (or two) post. So here we go! The first book seems like a popular favorite for everyone and while I loved the first book, there are two reasons I like the second book better. First, it shows more hints of the darker tone the permeates the rest of the series. Second, the first book is more about discovering the world, whereas this one focuses a bit more on the plot, mythos, and maturing of the characters. She’s just so honest and she’s just as eccentric as I am. I totally relate to her! I really liked his character, especially in the third book (in the other books he wasn’t really a main character), and to me he felt like more of a father figure to Harry than Sirius was. To me, Voldemort was not half a compelling villain as Bellatrix. She was insane, but she was also an extreme sociopath. Such a fascinating character! From her first appearance in the prologue of the first book, I have loved her character. I’d take her as my teacher any day. She is the perfect combination of kind and stern. I loved Nick in the first book and I think he’s mentioned a couple times in other books (like at a party later on), but he seems totally disregarded for most of the series. But I love him! This lady has visions of the future! When she was introduced in book 3, I really felt she was going to become an important character later on because of her immense magical potential. And yet she’s really forgotten after book 5 when Umbridge fires her. I avoid shipping anyone. I could say, I like Harry and Hermione’s relationship, but I don’t want them in a romantic relationship. I could say I would have liked Severus Snape to find love. But I tend not to do any ships. I picked this spell because it seems the most practical spell. You lost your phone. No problem, just summon it with Accio. You locked yourself out of your car with the keys inside. No problem, just summon it with Accio. You are too lazy to walk across the room to get the TV remote…you get my point. It’s super useful! Many of the creatures in the Harry Potter world are very similar. However, dementors really stand out to me for their uniqueness. I mean, they literally feed on memories and goodness of humanity. They are like a personification of depression and unhappiness. Truly fascinating creatures! There are so many great, memorable quotes from Harry Potter, so it’s hard to choose just five! 13. What House Would You Be In? I’ve taken several tests, but I hear Pottermore is supposed to be the most accurate, so I’m going with my results from that test. I also have a lot in common with Slytherin and a little with Gryffindor. I’m just totally not Hufflepuff! 14. How did you first get into Harry Potter? Because my family is obsessed with fantasy. I grew up with both my parents reading the genre, so it seemed normal when this series became popular (and my mother became convinced that it was pure fantasy and would not indoctrinate children into demonic rituals in the real world) for me to read it. I think I started getting into the series right before the third movie was released, so about 2004 when I was around ten. 15. What’s one thing you would change about the plot? The one thing I would change was to not kill so many characters in the final battle of the final book. I don’t mind when one character is killed and it impacts the plot (like when Dumbledore dies or Sirius dies), but killing off so many characters at once just didn’t feel very emotional. The reader doesn’t even have a chance to grieve for any of them before the book is ending, and their deaths add nothing to the story. Posted on October 13, 2018 October 15, 2018 by Madame WriterPosted in ReadingTagged Books, challenge, movie, Reading. Hufflepuff is an underrated house, in my opinion. They value kindness, goodness, and loyalty above everything. I suppose they aren’t in the series that much because they aren’t filled with angst like the other houses. It’s definitely a house you should be proud to be sorted in, because it seems to be filled with the kindest people! What a wonderful magical world Rowling creates! I totally get hooked! 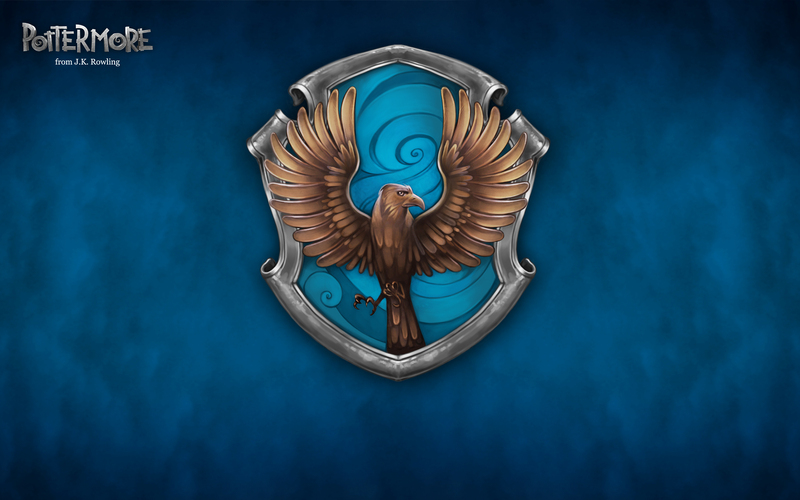 Usually the Pottermore test is considered the only “right” one. So that means you are the same as me! So cool. Usually I find people aren’t just perfectly in one house, but have characteristics of many of the houses. That’s why your house will change depending on the quiz you take. This is a really fun questionnaire! I love your answers for it! Thank you! And it was really fun! LOL, Accio is so fantastic! Great answers. The second book is also my favourite (after the first one, of course); I also think that Trelawney is underrated and love Nearly Headless Nick and Lupin. It is my belief that Rowling got carried away too much in the last two books and that is why she also killed off so many characters. It just felt that in the last book there was not so much attention paid and right atmosphere created and the point was rather to “conclude” nicely, etc. I agree! A lot of characters’ deaths seemed just thrown in to be dramatic without any reason. And yes, Rowling, clearly wanted to conclude the books happily, which is probably why she added the epilogue at the end. Not many people say the second one is their fav. I didn’t like it much until I reread it several times and gained an appreciation for the mystery plot. I think of all the books, the second one is most heavily a mystery, especially considering Ginny’s odd behavior, which I only realize as odd on rereads. I love the first book, but my fav is the fourth. The magical world expands and the darkness starts to rush in. That’s probably why I love the second book the best, because my favorite genre is mystery. And yes, the fourth one is fun too, especially with the tournament and Voldemort coming back at the end. It’s really a turning point in the books, in my opinion.